Cushion cut diamond engagement rings are the perfect choice for a classic woman who wants to mix the stateliness of tradition with the daintiness that modern diamond cutters are capable of creating. Trice Jewelers is Centennial, Colorado's premiere retailer of cushion cut diamond engagement rings, and in addition to being authorized retailer of over a dozen respected designers, Trice Jewelers offers cushion cut diamond engagement rings in a kaleidoscope of gorgeous variations, including pieces in 18-karat yellow, white, and rose gold as well as platinum. Engagement rings at Trice Jewelers include such gorgeous designs as those with different cuts of side diamond, halo, sidestone, and three stone designs. 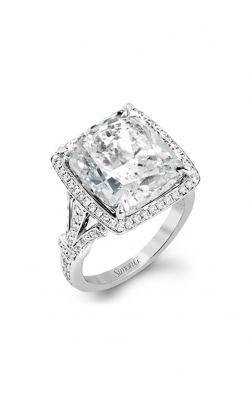 Trice Jewelers is proud to offer the elegant cushion cut diamond engagement ring designs of Simon G, Noam Carver, Claude Thibaudeau, Fana New York, and Gelin Abaci. 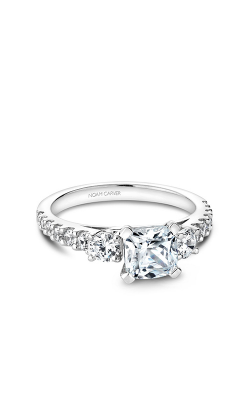 The unmistakable luxury of the Noam Carver Vintage and Modern lines show how the cushion cut diamond engagement ring design can range from minimalist to glitzy, and Fana's Designer and Classic collections are rich with enough radiant side diamonds to dazzle any jewelry lover. 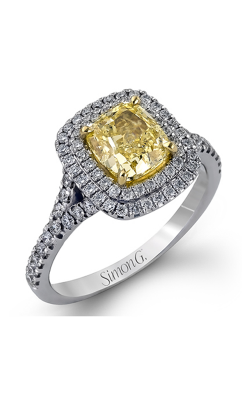 Don't forget to inquire about Trice's own selection, Trice Signature Creations, which include several gorgeous cushion cut diamond rings designed to take advantage of the unique loveliness of yellow diamonds. Also available at Trice Jeweler's Centennial, Colorado showroom are cushion cut diamond rings from Gabriel New York, Jack Kelege, Lashbrook, Mark Schneider, and Shah Luxury. Gabriel New York's beautifully vintage designs bring a touch of Art Deco elegance to the modern era, and the rings from Shah Luxury benefit from the designer's choice in decadent materials, such as sapphire side stones and baguette cut diamonds to accentuate the beauty of their Carizza collection of cushion cut diamond engagement rings. Trice Jewelers is an established landmark of Arapahoe County, Colorado, and for over 50 years, Trice Jewelers has served its community with the family values and exceptional service that have been at the heart of its business since its doors opened. Offering a one-of-a-kind selection of cushion cut diamond engagement rings, wedding bands, Swiss-quality timepieces, necklaces, earrings, bracelets, and fashion rings; as well as unbeatable services, including in-house jewelry and watch repair and appraisals, Trice Jewelers' Centennial, Colorado showroom is the premiere destination for customers in the Denver, Highland Ranch, and Greenwood Village areas. Also, for the jewelry lover looking for a one-of-a-kind piece, Trice Jewelers employs the services of on-site expert jewelry designers to create custom jewelry designs.